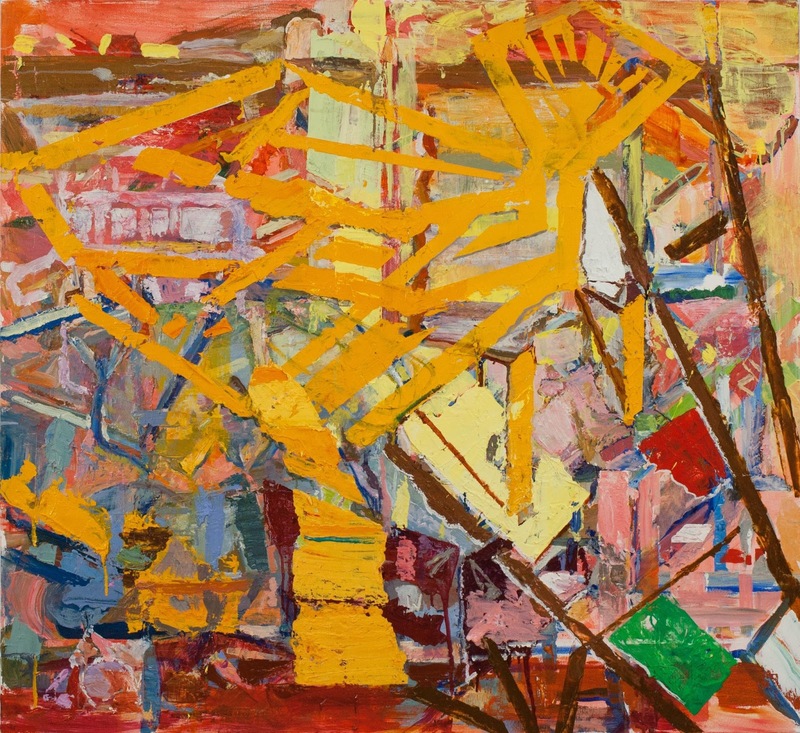 Thomas Berding is an associate professor of studio art and currently chairman of the Department of Art and Art History. 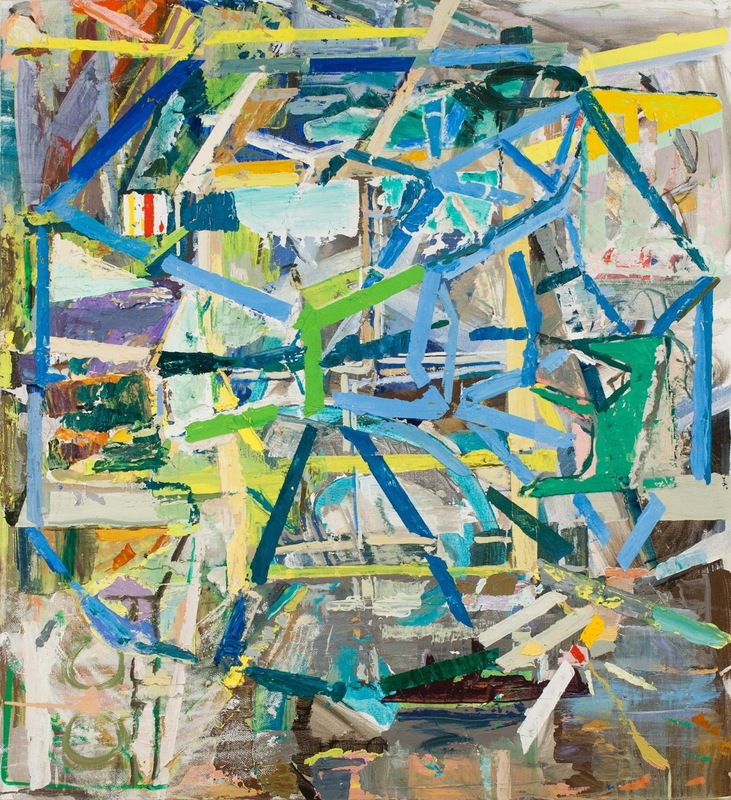 A practicing studio artist, Berding’s paintings have been recognized with awards from the National Endowment for the Arts, the Pollock-Krasner Foundation and the NEA/Mid America Arts Alliance. In my studio, there is no preordained or mechanistic process I adopt when it comes to preparation for painting. Some of the source materials I do use function like talismans, others more like catalysts and still others operate more as reflective instruments. It is certainly not a linear affair. In general, if I could find what I wanted in the source materials I wouldn’t feel compelled to paint and I would probably just re-present them (the sources) in another manner. That said, my sources, including drawings, objects and collages, are like little keyholes I look through, offering me a limited but important view of the space I want to move the work into. All along the painting process acts as a filter or amplifier; translating, modifying and editing numerous qualities that may be in the source material I am referencing or that emerges at various stages. 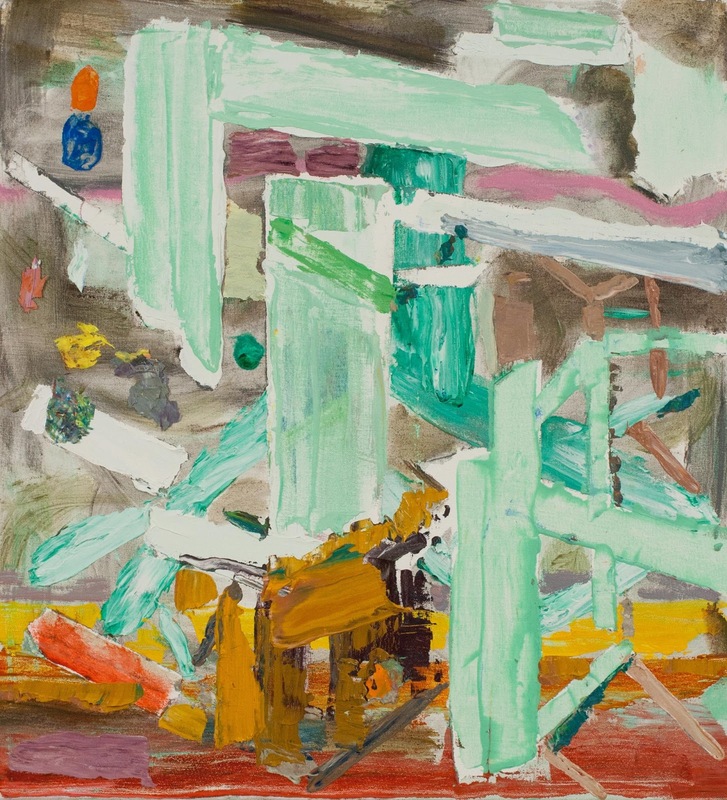 Clearly, the materiality and per formative character of painting and the histories and ideologies that are evoked are also a source of content in the work. In many ways, the paintings are also generative of each other, as I am usually working on a dozen or so paintings at a time when the studio is in full-tilt mode. In general, I am wholly incapable of understanding one piece as an entity unto itself, and whereas two canvases creates a kind of binary set-up, a multitude of canvases allows or even compels me to think in permutations and variations. While one can drown in painting’s history and its deep pool of references, it is also an amazing resource to draw upon. Painting is also curiously positioned to have an interesting dialogue with the ubiquitous two-dimensional screens that populate our lives. It can function as a high-touch alternative to such experiences and is also capable of absorbing and translating some of technology’s influence through a humanities-based perspective. While we are in a bit of a solipsistic age, it is also an age of open-source invention and indeed an exciting time to be a painter.